DFND Compression is made from the most powerful fabric in the world and provides more energy for greater endurance and improved performance. Our compression fabric is 4-way stretch that gives you maximum muscle containment, thus reducing muscle vibration which leads to muscle soreness. Our designs feature graduated compression to enhance your blood flow and prevent blood clotting. By enhancing your blood flow and reducing the muscle vibration, you will be able to recover faster, feel better and train longer the next day. DFND was founded with the principal to design the most advanced technological products for the needs of the US Military, First Responders and worlds most elite athletes. 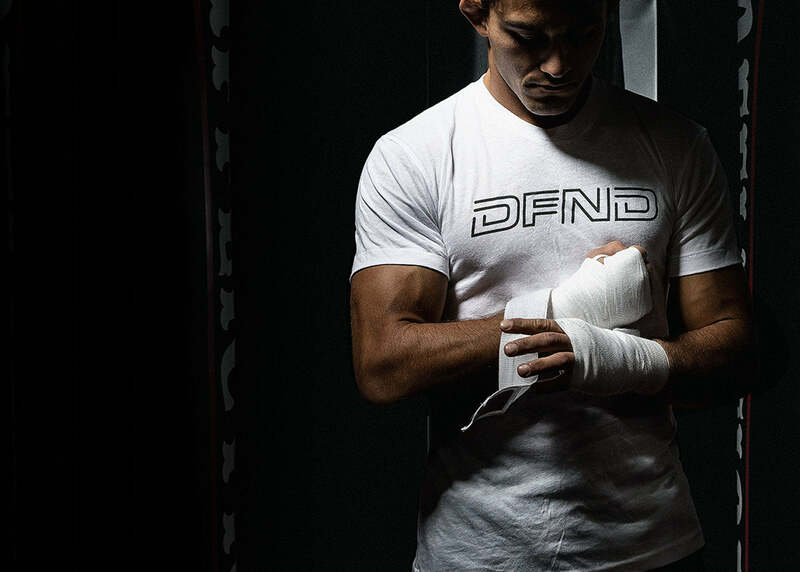 DFND products are built to enhance your performance, speed up your recovery and protect you from natures most extreme elements. All DFND products are designed, tested and proudly made in the USA. DFND Compression is made from the most powerful fabric in the world and provides more energy for greater endurance & improved performance. Our fabric is medical grade 4 way stretch that gives you maximum muscle containment that helps reduce muscle vibration which causes muscle soreness. Our designs feature graduated pressure points to enhance your blood flow and prevent pooling of the blood. By enhancing your blood flow and r educing the muscle vibration you will recover faster, feel refreshed and be able to train harder the next day. Decreases occurrence of edema, cellulitis and chafing, increases blood flow which will help to reduce soreness, contains muscles which will reduce swelling and soreness, helps to recover faster. Decreases occurrence of edema, cellulitis and chafing, helps to contain muscles which will reduce swelling and soreness. Prevents and assists in the recovery of achilles tendinitis, calf strains and decreases edema to lower extremity, increases blood flow to help prevent DVT. Helps to maintain a more balanced posture, enhances power output, decreases the possibility of injury, increases postural awareness.